Hi, my name is Snortster! 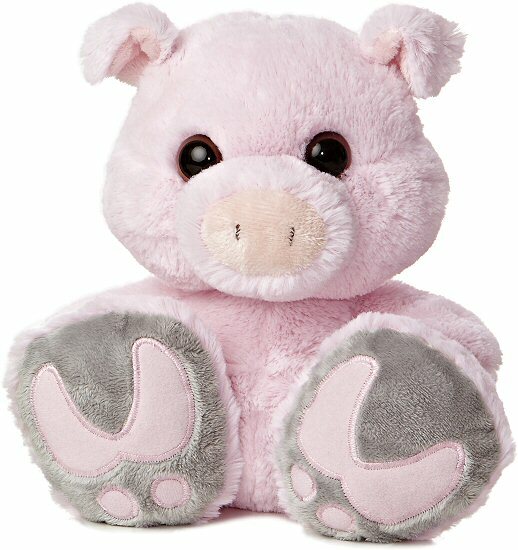 I am a huggable pig stuffed animal from the adorable Taddle Toes collection. My chunky body has soft pink fur and I have these amazing oversized gray feet with pink "foot prints." And just wait until you check out the back... I have the most adorable curly tail! My snout is just awesome with its embroidered detail, and my eyes? Just gaze into these golden-brown beauties and I just know you'll want to take me home with you. 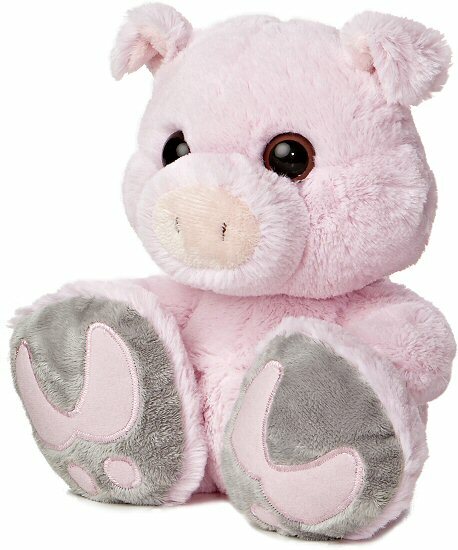 After all, what could be more fun than hours of imaginative adventure with an adorable plush pig? Fun Facts about Pigs: Did you know that pigs are very smart and social animals? It's true! In fact, piglets can learn their names at just two or three weeks old. No wonder Charlotte was so anxious to save poor Wilbur. He was more than just a pig in a poke.